The following was originally written for the ASID (American Society of Interior Designers). The long list of benefits that tile brings to the table is quite well known. Tile is resistant to scratches and wear, is waterproof and very easy to maintain. However, tile does have its limits. 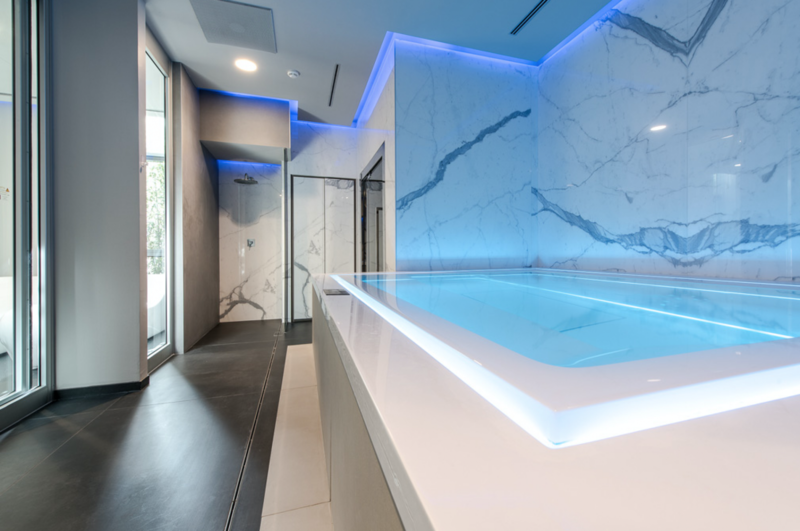 In an effort to make tile even more user friendly, manufacturers have recently come out with new formats in a variety of thicknesses and dimensions. These new tile types push the boundaries of the material into new realms that give designers greater freedom to make their dreams into reality. The lines previously drawn by tile are being pushed aside by the new thin and thick porcelain tile options. Thin porcelain tile (often referred to as TPT) is typically 3-6 mm thick rather than the usual 3/8” (9 ½ mm). What makes this change so revolutionary? The decrease in thickness significantly reduces the weight of the tile which weighs as little as 1/3 the amount of traditional porcelain tile. This reduction in weight means less material is used, lower shipping costs and a much wider variety in the breadth of viable applications. 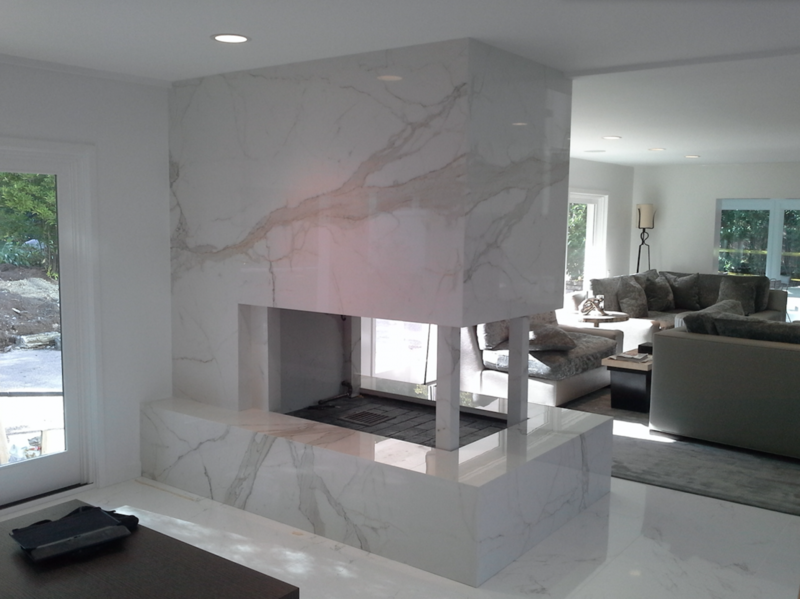 Yachts, RVs, fireplace surrounds and outdoor furniture are just a few of the specific installation placements that could benefit from lighter forms of porcelain tile. This lighter weight also allows the material to be produced in much larger formats, up to 5×10 feet. Such large dimensions lead to quite dramatic installation opportunities along with installations times that are up to 40% faster. Large format tile is perfect for applications where seams are undesirable such as hospital settings of kitchen surfaces where grout lines could harbor bacteria. Designers who have experimented with thin, large format tile have been delighted to find that it is relatively bendable. This makes the large panels ideal for applications such as curved walls, sinks and pillars that could previously be tiled only with mosaics. In addition, this tile can be used indoors or outdoors, is available in polished or matte finishes (perfect for wet shower floors) and can even be installed on top of existing tile surfaces, eliminating the need for costly removal services. Our next post will look at the opposite of Thin Porcelain Tile — 2cm tile. Don’t miss the information!